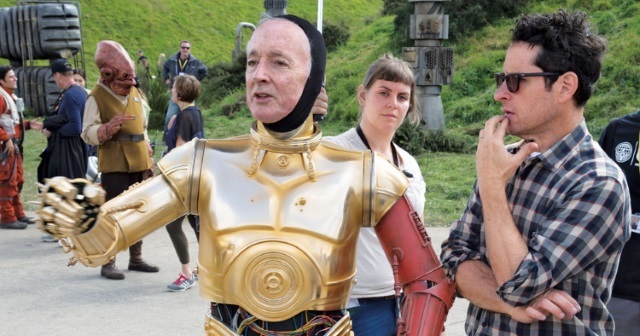 Anthony Daniels has revealed that he has finished his work on Star Wars: Episode IX. In a tweet posted on Monday, Daniels announced that he had completed filming his scenes for the J.J. Abrams film, which will conclude the Skywalker trilogy. It also means that it could be the last time he plays the character in a film, unless a prequel-era anthology film comes calling. "Today was 3PO's last on Episode IX. He's sad - so am I," he said in the tweet. "But we're so proud to have worked with such a lovely, talented cast & crew lead by J.J. & Kathy. I'll miss everyone but I'm glad to know that we've been making something exceptional together, to share with the waiting world." The not-yet-fully titled Star Wars: Episode IX opens December 20, 2019.